Possibly the most often overlooked expense, especially for first time home buyers, when purchasing or selling a home are the closing costs. Most people assume closing costs are minimal, possibly a couple extra thousand dollars. However, this could not be further from the truth.It is extremely important for both buyers and sellers to budget for closing costs when they are assessing the costs or profits that will made in a home sale. 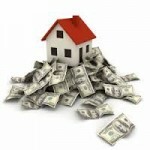 There are numerous fees involved for both parties of a real estate transaction. 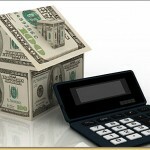 There is no set percentage of closing costs rather each deal is different. Typically, the seller’s closing costs are higher than the buyers because they pay out the commission to the real estate agents. This varies from state to state but here in Chicago, it is the general custom that the seller pays the commission. Your Real Estate Broker. 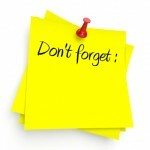 Many real estate agents stay far away when asked about closing costs and will defer the request to someone else. They do this because they want to prevent a situation where they quote you one number and the actual costs are much higher. While I understand that reasoning, I personally find that unacceptable. As your agent and guide throughout the process, it is your brokers responsibility to inform a client of costs involved in the process. It should be made clear in writing that your client is being provided with a ballpark estimate and you are not responsible should the amount be higher. Your Attorney. A common response when a Realtor is asked how much closing costs will be is to consult with your attorney. Like your Realtor, a real estate attorney has been through the process numerous times and should know exactly what fees will be assessed. It is also the attorneys who generally calculate how much will be credited to the buyer for prorated taxes, which is an additional expense for sellers and a credit to the buyers. Mortgage Broker. 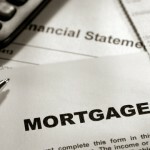 This is not relevant to sellers or a deal that is being purchase with cash and not a mortgage. 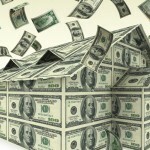 Most buyers take out a loan as opposed to having hundreds of thousands of dollars in cash to make the purchase. There are many fees associated with securing a loan including processing, underwriting, delivery, policy, and origination fees just to name a few. Your mortgage broker should be able to break down the fees that will be charged to you from the mortgage company when your application is first submitted. Something called a Closing Disclosure (CD) must be proved to the buyer who must sign off on it at least 3 business days prior to closing. The CD should be a replica of the settlement statement so all closing costs are presented to the buyer ahead of time as opposed to at the closing table. To read the details and learn more about TRID, check out this in depth, easy to understand article by Inman.